A meteorite has burnt up over the Arkhangelsk Region in north Russia. A meteorite has burnt up over the Arkhangelsk Region in north Russia, without reaching the Earth, the regional emergencies services reported on Jan. 9. "Yes, indeed, a meteorite burnt up in the dense layers of the atmosphere in the Arkhangelsk Region in the evening of January 8. It did not reach the Earth. 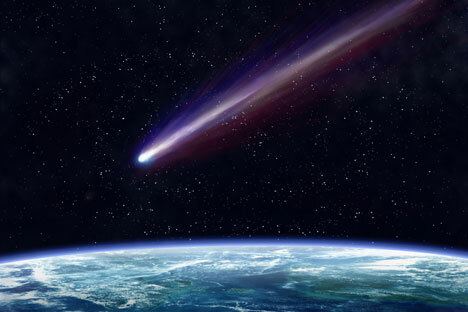 Eye-witnesses saw a flash in the sky," the emergencies services said. This happening has not caused any consequences, the emergencies services said. "There are no structures damaged or persons affected. This has also had no effect on the work of infrastructure," the emergencies services said.